Every feature of the SIL 2 designed Prima X IR Gas Transmitter is designed with reliability in mind to withstand the most challenging environmental conditions throughout the product’s life. 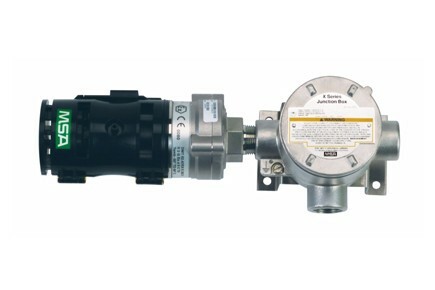 MSA’s Prima XIR Gas Transmitter offers LEL (Lower Explosive Limit) combustible gas detection through a patent-pending PrimaX Gas Transmitter IR dual source design. A redundant IR source provides reliability and uninterrupted monitoring should a source failure occur. Furthermore, the possibility of obscuration’s due to rain, fog, dirt, dust, and other environmental conditions is minimized due to dual source design. In addition, optics are optimized for maximum signal, resulting in a product of extraordinary stability.